He says: "I am honoured to be selected for this opportunity to represent the Church of Scotland nationally and internationally. “It will be a pleasure to encourage church members in their faith and to see the impact of their faith in communities across our country. “I have thoroughly enjoyed being a parish minister and despite the challenges we face I believe the Christian Faith is still relevant to Scotland. Colin grew up on the south side of Glasgow, the second son of Alex and Isobel Sinclair, who were "occasional churchgoers." The family had an international outlook as his father had been a District Commissioner, first in Palestine and then in The Gambia, before returning to Scotland and working as a lecturer in management at Strathclyde University. It was as a pupil at Glasgow Academy, that Colin first became interested in the Christian faith. To escape getting into trouble after a prefect saw him taking the wrong staircase, Colin dodged into a darkened room where a Scripture Union camp video was showing. "I enjoyed the film, thought the activities looked great and I felt I could put up with the “religious stuff,” he says. "I did love the camp and had great fun, and I liked the leaders. But to my surprise I also enjoyed the meetings with their lively singing and straightforward message about Jesus Christ. "I went back to camp the next year and decided then to follow Jesus Christ. So started an exciting adventure of faith that has lasted over 50 years." Athletic as well as spiritual, as an economics student at Stirling University, Colin spent just about as much time on the sports field playing rugby as he did in Christian Union activities or volunteering with Scripture Union. It was also while a student that Colin took a holiday job as a film extra playing a soldier in the 1975 comedy, Monty Python and the Holy Grail. When the idea of being a minister was first suggested to a group of Christian Union members, Colin dismissed it. "I thought ministry was about having tea with old ladies so as I wasn't interested in either tea or old ladies I thought it wasn't for me." 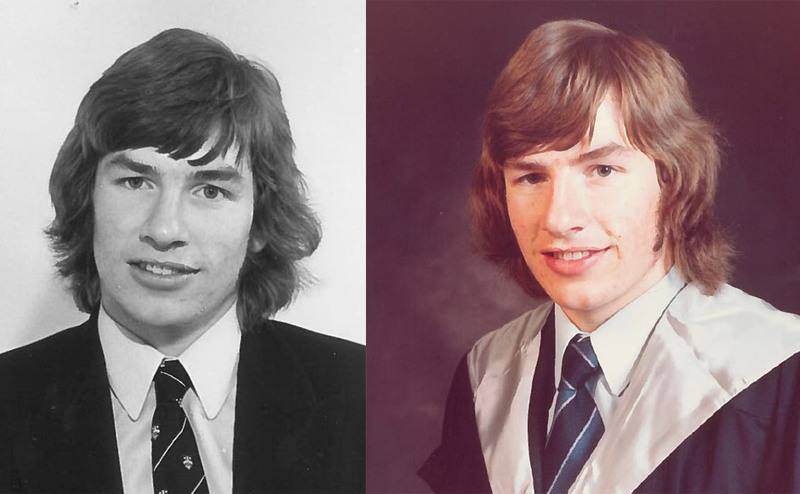 Yet during his years at Stirling Colin began to realise God was calling him to be a Minister. He went to selection school and even though around six in ten applicants were rejected, he was accepted. By this time, he says, his parents had become active Christians and understood his choice. Before he could begin his ministry studies, however, Colin was approached by Scripture Union and asked if he would consider going to Zambia as a training officer in an exchange that would allow two Zambian students to study in the UK. It was an offer he couldn’t refuse, part of a lifelong commitment to Scripture Union. Colin's family were all away the night before he left, but he still remembers the note his mother left him. "Switch the gas off. Leave the keys on the table. See you in two years." So aged 20 with an honours degree in Economics, he embarked on his first work with Scripture Union. The job, which involved travelling around Zambia, living out of his car and speaking at schools, churches, hospitals and colleges, ended up lasting three years. "Those three years changed my life," he says. "Being away from everything familiar I was able to sort out which parts of my faith were mine, and which were not. I encountered people from many different countries and with many different beliefs. I met all the Church of Scotland missionaries there and everyone was very supportive. I learned to trust God." After earning a 1st in Church History from New College, where he also played rugby for the Lions, Colin completed his probation and was ordained at Palmerston Place Church. His first solo parish was at Newton on Ayr. “I learned to be a parish minister. On Sundays I had Bible class, services in the morning and evening followed by Youth Fellowship. I had to come up with four fresh talks every Sunday, so I worked hard, but I really enjoyed it. 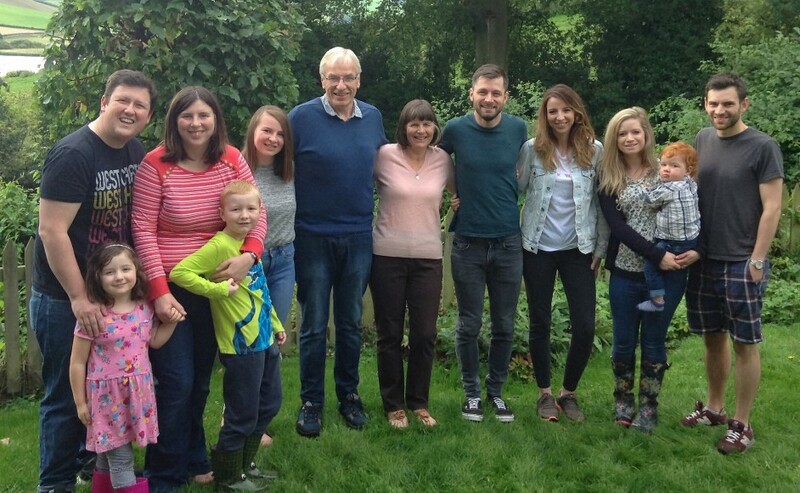 In 1981 Colin married Ruth Murray, a medical social worker and the couple went on to have four children, Joanna, 35, Timothy, 31, Rachel, 28 and Bethany, 22. 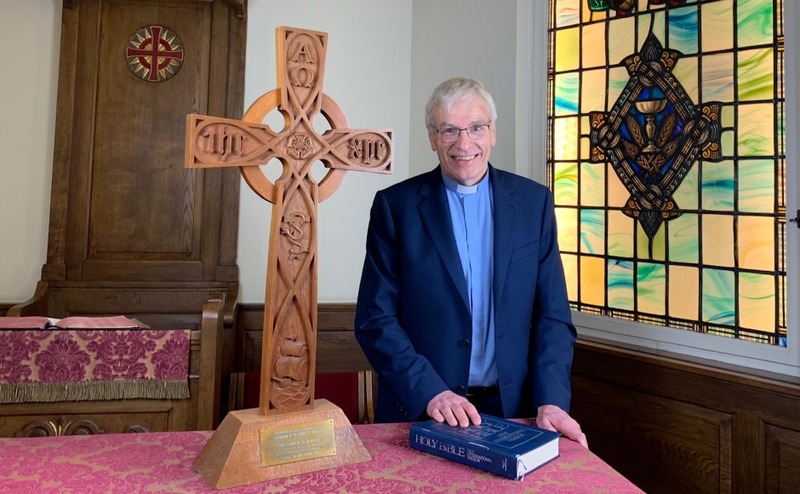 After six years in Ayr, Scripture Union offered Colin the job of General Director in the Glasgow office – a job he held for the next 8 years while staying involved in his local parish. Leading one of the largest Christian youth organisations in Scotland involved everything from organising the first-ever event held in Glasgow’s Armadillo auditorium—which brought together 3000 young people at Release the Power – to forging links with international evangelical groups, such as The Lausanne Movement and the Spring Harvest Council, which he chaired for seven years. 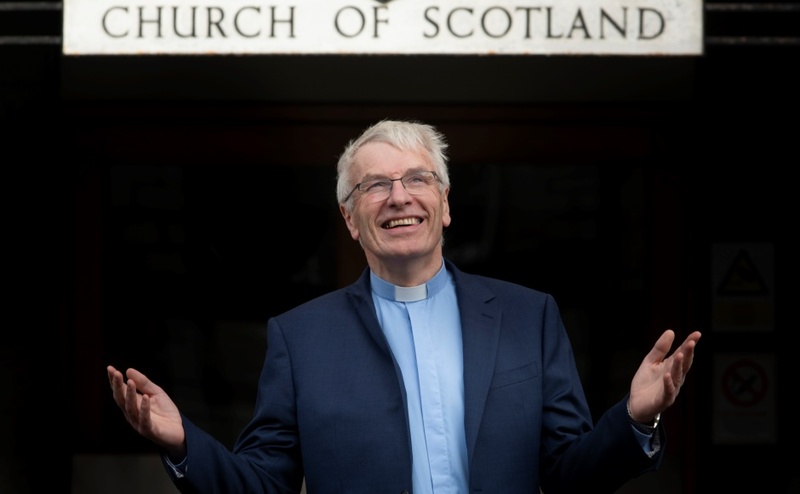 Scripture Union’s mix of fun and faith became an enduring commitment even after he returned to Parish Ministry at Palmerston Place, in Edinburgh in 1996. Colin and Ruth ran a Scripture Union holiday camp for teens in the Highlands, at Alltnacriche near Aviemore for 27 years. In 2004, Colin took on the role of International Chair of Scripture Union, working with 130 SU movements around the world and travelling widely to countries such as Ghana, Peru and the Philippines. “What I love about Scripture Union is the opportunity to pass onto the next generation faith and the Bible and get them out serving in a world in need,” he says. Colin’s contribution to the Church of Scotland has included serving on many Councils and committees at both local and national level. Most recently, from 2012 to 2016, he was Convener of the Mission and Discipleship Council which also involved serving on the Kirk’s governing body, the Council of Assembly. Since 1996, he has been the minister at Palmerston Place, where he and Ruth— now grandparents—have offered marriage classes, nurtured a thriving congregation and hosted many groups of students and probationer ministers. Somehow, he also found time to write “The Hitchhikers Guide to the Bible”. “I love being the minister for Palmerston Place, “he says. “The heart of everything we do is Jesus and that’s what excites me. Colin's enthusiasm and the happiness he finds in faith seem to be infectious. Soon after he became “mesmerised” by the story of Jesus, his parents found their own way to faith.And all four of his children are involved in the Church. Joanna works as Young People’s Ministry Leader at Holy Trinity Wester Hailes. Timothy is the minister at Partick Trinity in Glasgow. Rachel is International Project Coordinator for Glasgow City Mission, and Bethany is a trainee midwife after working with Africa Inland Mission in the Democratic Republic of Congo. Colin has seen several members of his congregation go into ministry and others find their Christian faith for the first time. But he says his greatest satisfaction is seeing how their faith impacts their lives. “As a student volunteer at SU camps I was delighted one day when one of the campers professed faith in Christ,” he says. “So I shared this with the Camp Leader who replied that, while he shared my happiness, he had learned over the years to find greater pleasure when those who came to camp went on to live lives of Christian usefulness, serving in society in some way or taking a position of leadership.